The Québec government, through Transition énergétique Québec, has announced the extension of the used electric vehicle pilot project in conjunction with the Drive Electric program, which will accept applications to participate in the program until December 31, 2018. Moreover, vehicles from model year 2016 will be eligible for a rebate starting on September 15, 2018, depending on their registration date. The other conditions governing the pilot project now in force are maintained. Since its inception in April 2017, the pilot project has already enabled more than 1 000 additional all-electric used vehicles to travel on Québec roads. The announcement reflects the government’s objective to increase by 2020 to 100 000 the number of electric and rechargeable hybrid vehicles registered in Québec’s car fleet. 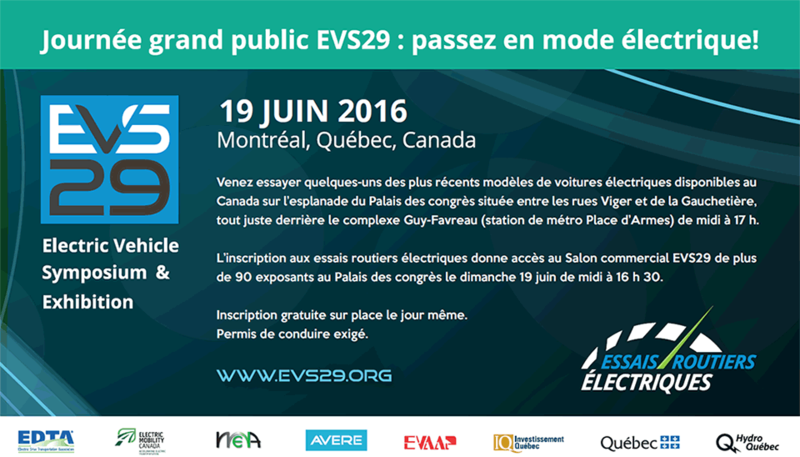 At the same time as the renewal of the program, Transition énergétique Québec is analyzing the best way to upgrade support for the acquisition of used electric vehicles. The pilot project will be evaluated to determine the components to be maintained and those to be enhanced should support be continued in 2019 for this type of vehicle. The used electric vehicle pilot project was official launched on April 1, 2017 and is intended to encourage the purchase or leasing of all-electric used vehicles. It was initially slated to end once 1 000 rebates had been granted. Participants who buy an eligible all-electric used vehicles can obtain a government rebate of up to $4 000. The pilot project is open to individuals, businesses, organizations and municipalities. Transition énergétique Québec is a state-owned enterprise created in April 2017 to ensure the Québec energy transition. One objective of its mandate is to support the decarbonization of passenger transportation, in particular by fostering the use of electric vehicles or vehicles that consume fuels with lower-carbon content.